Newsroom Home / Audiences / Community / Rutgers Environmental Stewards Program: Plan for Some Winning New Year’s Resolutions! Share the post "Rutgers Environmental Stewards Program: Plan for Some Winning New Year’s Resolutions!" As 2014 comes to a very quick close, Rutgers is offering private citizens a great opportunity to meet and fulfill their New Year’s resolutions that promise to better their local and regional environment. The Rutgers Environmental Stewards program helps residents expand their abilities from non-scientists to become citizen-scientists. Classes for 2015 begin the first week in January in Atlantic, Warren, and Somerset counties, and typically run through May. 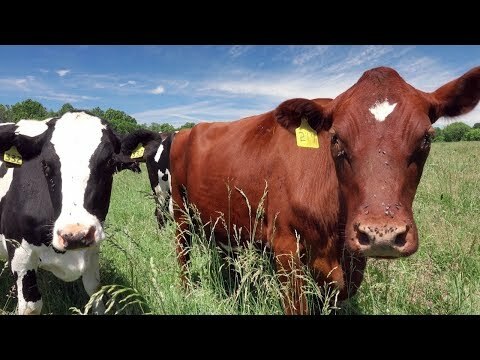 An innovative partnership between Rutgers Cooperative Extension and the Duke Farms Foundation, the Rutgers Environmental Stewards program teaches participants about land and water stewardship, best management practices, environmental public advocacy, and leadership. The curriculum is designed to introduce non-scientists to the science underlying key environmental issues in the New Jersey. Academics are joined by colleagues from government and the non-profit sector to share understanding and insights with the students. “Students don’t only receive facts, but also are introduced to a network of expert individuals and organizations who can be of service to them in the future as they wrestle with solving local environmental problems,” said Bruce Barbour, program originator and agricultural and resource management agent with Rutgers Cooperative Extension in Warren County. “This can be among the most meaningful six months in your life,” adds Barbour, who has led the program since its inception and details many of the benefits for the attendees and their communities for each class since 2005 well beyond the $250 registration fee online. In order to serve the entire state, training is offered in regional locations and recruitment has begun in earnest for the Class of 2015. Questions about registration or schedules should be directed to the coordinator of the region in which you expect to attend classes. In Warren (Northern region) the training location is the RCE office in Warren County, 165 Rt 519 South, Belvidere, with the normal class time of Tuesdays mornings, January to May, 9:30 to 12:30 pm. Interested participants should contact Milly Rice at marnavy@hotmail.com, Ag and Resource Mgmt. Secretary, or by phone at (908) 475-6505. The Central Region training at Duke Farms in Hillsborough will be held Thursday evenings, January to May, 6:30 pm to 9:30 pm. Interested participants should contact Deb Thomas at dthomas@dukefarms.org, Duke Farms Foundation, or by phone at 908-722-3700 x 4. A coastal region training will be offered at the Atlantic County Utility Authority, 6700 Delilah Road in Egg Harbor Twp, Wednesday mornings, 9:30 am to 12:30 pm. Interested participants should contact Amy Menzel, amenzel@acua.com, in Pleasantville, or by phone at (609) 272-6950 x 6934. Program coordinators expect 25 to 30 attendees at each location. 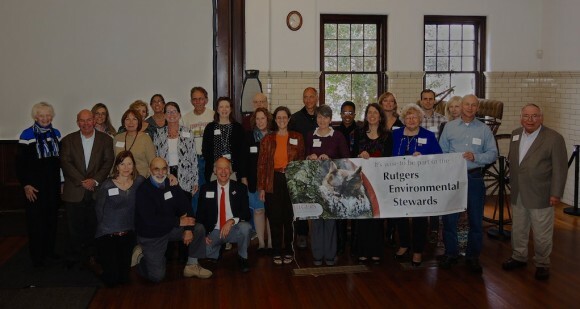 Participants will be certified as Rutgers Environmental Stewards once they complete the 60 hours of training along with 60 hours of volunteer efforts in their approved program for their town or county. All regional application forms are available online.